We are based in Delhi. 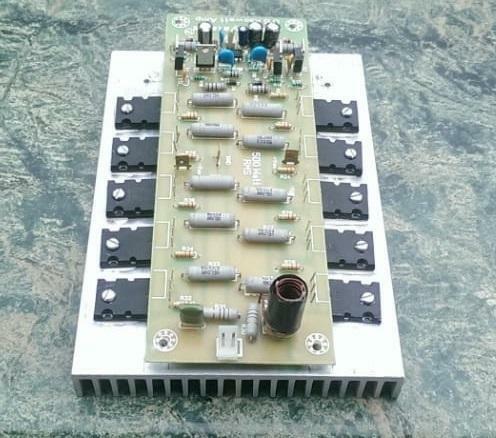 · Details (Model: DAHPM500): This is a very high-quality and high-performance Class AB amplifier build around Bipolar Junction Transistors meant for Hi Fidelity high fidelity audio amplifier’s output stage. It is suitable for mid-to-high power applications. Suitable for mid-to-high power audio applications. o Operating voltage is ±50 VDC (Max). We are a foremost Manufacturer of a range of Audio Amplifier Board, DC to DC Converter, and Linear Power Supply. For hassle-free and efficient manufacturing of excellent quality products, we have developed a well-installed infrastructure.